So what exactly does it mean to leave no trace? The answer to that question seems straightforward, and for the most part it is, but there are a few details you may not have considered. Here are the principles of “Leave no trace” ethics explained in simple terms to make remembering and practicing them as easy as possible. Visit the website for the park you are planning to visit. Check for closed trails, fire restrictions, fishing regulations and other related notices. Learn how to identify any animals living in the park that may be dangerous, such as bears, mountain lions or rattlesnakes, and how to handle a potential encounter. Check the local weather reports before you leave and make sure to take proper gear and clothing. Keep an eye out for things like afternoon thunderstorms, flash flood warnings, wildfires, or unseasonably cold or hot weather and plan accordingly. 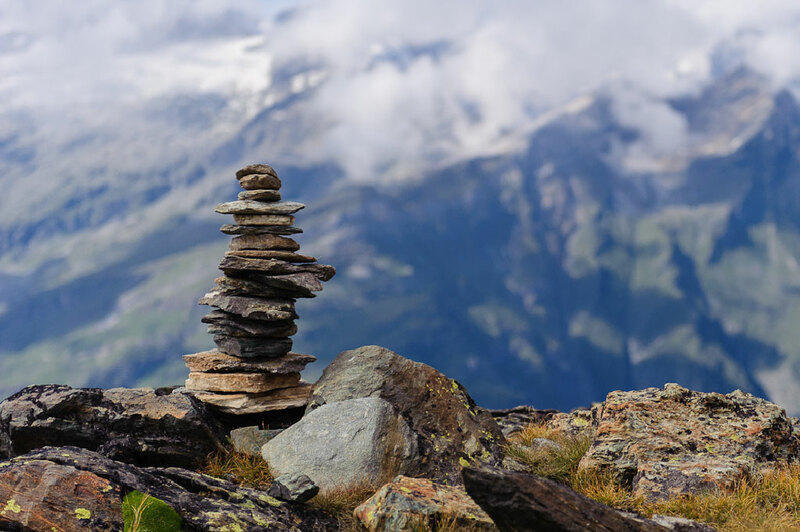 Use a map and compass while hiking to avoid relying on artificial trail markers like paint, rock cairns, or flags that can disturb or damage the natural environment. Stick to using existing campsites and trails as much as possible. Avoid going off trail or taking shortcuts. Camp in open areas on rock, dirt, snow or dry grass if no existing campsite is available. Pack out all of your trash, including toilet paper. If you wash your dishes, use a biodegradable soap like Dr. Bronner’s or Campsuds and try to pick your dishes clean beforehand to keep from leaving food deposits behind. If Nature is calling, hike at least 200 feet away from camp, trails and any water source. If you’ve gotta go #2, dig a hole 6-8 inches deep and do your business. When the deed is done, cover the hole back up and pack it down, and don’t leave your toilet paper behind. Animals will dig it up, and it’s not a pretty sight. Tip: Cut down on your pack weight by using biodegradable wipes like Coleman Biowipes instead of toilet paper. Not only will they leave you feeling fresh and clean, you can use them for more than just wiping your behind! If an object or structure has any historical value, leave it alone. Look as much as you want, but don’t touch it. Leave the natural habitat just as you found it. Don’t move rocks around, or cut down trees or bushes. And unless it’s an emergency, don’t go building yourself a lean-to or debris shelter, or even a rock wall to protect you from the wind. Go Easy on the Campfires. In areas where campfires are allowed, use existing fire rings, keep fires small and only use dead wood that you find lying around on the ground. Burn wood completely until it is reduced to ash. Extinguish campfires with water, then stir the ashes and water until the ashes are cool to the touch. Scatter the ashes and cover the remnants with dirt and leaves. When done, there should be no evidence that there was ever a fire. Keep a safe distance from wild animals. Avoiding an encounter altogether protects both of you, so no selfies with rattlesnakes, okay! Don’t feed animals or leave food behind. Use a bear canister or hang a bear bag as required to keep your food secure when in bear country. If you’re hiking or camping with your canine buddy, keep them close by and don’t let them run off uncontrolled. Everyone likes to enjoy nature in their own way. Simple etiquette rules apply. If someone is hiking faster than you, move to the side of the trail and let them pass. Be respectful of the privacy of others. Set up camp away from other campsites. Keep your chatter down, especially in quiet areas or at night. And if you’d rather listen to music than the sounds of nature, please wear headphones. Leave No Trace Principles are a set of ethics taught to the Boy Scouts, touted by environmentalists and naturalists, and practiced by hikers and campers around the World. They’re easy to learn, and by practicing them yourself, you are in no small way helping to keep our wilderness areas pristine and the outdoor experience safe and fun for generations to come. Want to learn more about Leave No Trace Principles? Visit LNT.org for a complete list of the Leave No Trace Principles, as well as a variety of other educational LNT resources and opportunities.